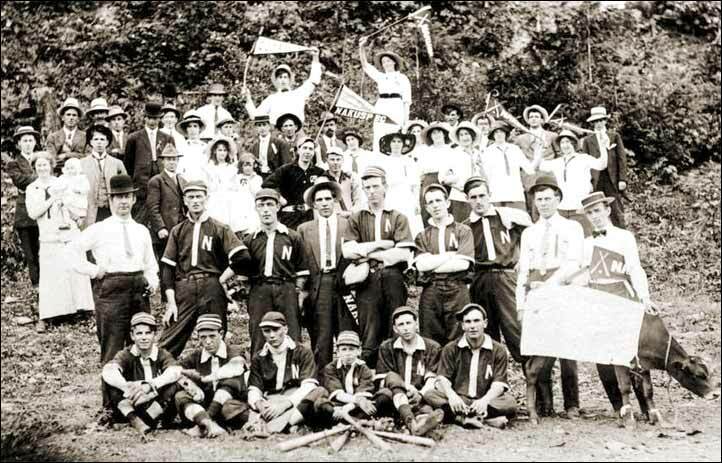 The Nakusp baseball team and supporters at Comaplix (Nakusp won, 14-3, August 4, 1912). Team members (bottom two rows). Back row, left to right - Walter Magoon, Dave Bulger, Butler, Henry Bohart, Not known, Not known, Not known, Not Known, Not known.